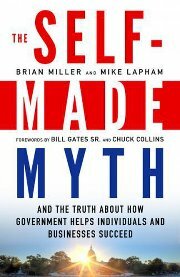 When I began reading THE SELF-MADE MYTH by Brian Miller and Mike Lapham I initially thought it was going to be another book that just tauted the role of government in our lives. At the time the Presidential campaign was in full force, and President Obama's comment "You didn't build that" was getting alot of attention. I have to admit that even after hearing the context of what the President was saying I thought it was just another swipe at business leaders and their success. As I began the book, I just expected it to be an extension of the message coming out of Washington. Boy was I wrong! This one book literally caused me to stop and think about my own perceptions about how people like myself "make it", and how they were able to get from point A to point B. It became one of Conversations' Top Books of 2012. Like many of you I was one of those who was taught that you work hard, pull yourself up by your own bootstraps and make things happen for yourself. My family was not on public assistance. I was fortunate to have a mother and step-father who both worked hard and set the model for me. Reading this book, however, gave me another perception of how even I have been able to do some of the things in my own life. The authors help us to see that no man is an island, and though you might have the best ideas and work ethic you are going to need others in order for it to get off the ground and become successful. One of the best stories in the book comes from Ben Cohen of Ben and Jerry's. We are able to see how they were able to start their business with almost half of the money coming from a bank loan and the rest as they say is history. Now that is not to say that banks are always responsible for providing the funds needed to start a business, but without that help they couldn't have began what is now a global brand. Cohen,though, realizes the real source of their success. "Who created the wealth," he asks. "It was really created by our customers and employees,people who worked with us." And there was the big 'light bulb moment' for me. We as business owners and thinkers are nothing without someone to believe in us and what we are presenting. The book also gets into the issue of taxes and how by paying their fair share those businesses that are doing well are really giving back in a big way to the communities that supports them. Again, another way of looking at what could be a controversial issue for some. I can't help but think of that famous line in the movie Field of Dreams. "If you build it, they will come." In business that is not always the case. Many people start out with solid business plans and a passion for what they do. That, however, is not enough. This book reminded me that we need the public to invest in our dream and in what we have to offer for it to succeed. I know this has been true as regards to the success of Conversations Media Group. There are lots of radio shows and magazines on the market, but what makes one a winner is the way people rally around it. That's not discounting the importance of hard work. It's just a reminder that more is needed. And that more is the people. In the end this book helped me to see that we are really all in this together. We need to work together and support each other however we can in order to see the growth and prosperity we say that we want. THE SELF-MADE MYTH is a great component to add in when it comes to just how we move forward, but it is definitely a conversation worth having. I hope you will join the conversation with me in 2013. 2012 has been tailor-made for recording artist Tomas Doncker and his Global Soul revolution, and Conversations has been privileged to cover it. I first interviewed Tomas on Conversations LIVE in 2010, and I knew there was something about him that the world needed. His approach music is like that of a surgeon who identifies a problem with a patient and skillfully goes to work in resolving it. Through music, Tomas has been able to take the listener through the procedure, letting us know through song how and where we can get better and then moves us in the direction of the solution. His projects like Small World, The Shapeshifter Ensemble, Inside Out and the new album The Power of the Trinity gives music lovers of all genres something they can listen to, relate to and enjoy together. Even the national news took notice this year, with CNN profiling the Global Soul revolution led by Tomas on the air, giving him much-deserved publicity and praise for his musical gift. Our recognizing Tomas Doncker as our Male Artist of 2012 was not only an easy choice, but it was one that made sense because of the times we are living in. As a human race we need individuals who can take us to a place of community responsibility and show us what is possible, beginning with the power of one. It is my hope that you will turn on and tune in to the music and message of this revolutionary artist. His message of working together to educate, inspire and motivate the world is one that individuals of all ages can relate to. Get to know Tomas Doncker better at www.tomasdocker.net and follow him on Twitter at www.twitter.com/tomasdoncker. 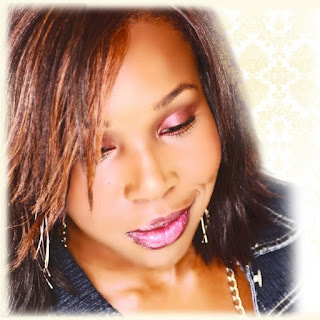 Recording artist Estee first came to my attention in 2010 when she was promoting her single I WOULDN'T from the album JOY---and I have been a fan ever since. Her ability to take the listener on an amazing journey of self-reflection and gift of reaching the heart in the process made her an easy choice for Conversations' Female Artist of 2012, and it is my pleasure to bestow that honor upon her. For Estee 2012 has already been one to remember, as she has been able to take her ministry of music and its message to the masses in so many great ways. As she has traveled, she has also been able to share some powerful songs along the way. One of my favorites became I'M STILL HIS, which allows the listener to admit their mistakes but also the realization that God still loves us and wants the best for us. Then came her single EXCUSES which also spoke to me in a big way. It takes you through the things we could say as excuses for not doing all we can in God's service, and then remind us that Jesus Christ gave so selflessly of himself, paying the ultimate price for our salvation. During the holidays Estee also gave her fans and new listeners some amazing renditions of classics like O Holy Night that reminded us of the reason for the season. This year she could do no wrong with her music, and the attention she is getting for it is more than deserved. To find out more about Estee visit www.omega7productions.com. Choosing the Author of the Year for Conversations over the past few years has been one of my greatest challenges, however, it also allows me the opportunity to share my thoughts on the wordsmiths that are delivering some of the world's greatest work. Past honorees have been Andrew Neiderman, John Saul, Wahida Clark and most recently Stuart Woods. All of them have been guests of mine through Conversations, and they all have shown themselves to be incredible at telling a great story. For 2012 there was one author that consistently kept coming to the forefront of my mind because of the impact he was making, and it is for this reason that Tony Lindsay, author of titles like URBAN AFFAIR, ONE DEAD LAWYER, ONE DEAD PREACHER and now ONE DEAD DOCTOR (one of Conversations Top Books of 2012), is Conversations' Author of the Year 2012-13. I first interviewed Lindsay some six years ago for Conversations Magazine. I was a fan of his that really wanted to share his story with our readers, and he was gracious enough to work with me in making it happen. We met face-to-face for the first time in 2008 when Conversations Book Club hosted him in author events in Mississippi and Louisiana. It was great to spend some time with the storyteller, and get to know more about what motivates him as an author. 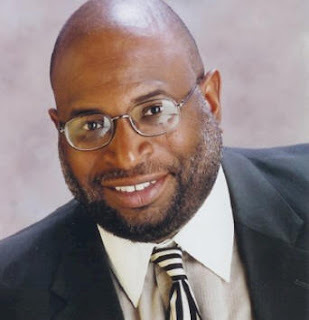 The gift that he has is one that I think is universal, but you will hear many talk about him in the singular vein of being a great "urban fiction" author. Being one that is not huge on such titles or generalizations, I would rather think of Tony Lindsay as a man that is able to tell a story in such a way that he can gather readers of various genres together around his work. He is definitely not a one-note. You might think you know him by reading books like STREET POSSESSION and URBAN AFFAIR, and then you might hear someone speaking about CHASIN' IT or MORE BOY THAN GIRL, and you will definitely get a different flavor of his literary palette. In 2012 what struck me was that I was just getting the opportunity of digesting the lessons from his latest book of short stories called FAT FROM PAPA'S HEAD when ONE DEAD DOCTOR hit the market. Once again Lindsay was able to take us into the life of David Price and the issues he faced, reminding us of how much fiction can gave a true commentary on the events of our lives. I hear people say if you are a fan of author Donald Goines you will like Tony Lindsay. That may be true to some, but it is not my experience. For me, Goines doesn't capture a world that speaks to me like Lindsay does. If anything, Tony Lindsay is the Donald Goines of my time. His words lift up and off the page into the reader's mind and heart, leaving an imprint that makes it almost impossible to keep it to yourself. It is my pleasure to honor Tony Lindsay in this issue of Conversations Magazine and throughout 2013. His is a talent that the world deserves to know. To discover him for yourself, look up his books at www.amazon.com. If there is one thing Conversations Book Club President Cyrus Webb loves more than a great book it is a great meal. Over the past decade he has found great joy in the kitchen, and as in other areas of his life books have been a part of making something delicious and easy for his family and friends. Gearing up for the end of the year Webb decided to share 7 Cookbooks Every Home Should Have in 2013, and he hopes you will add them to your shelves and their meals to your palette soon! 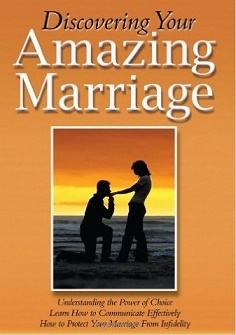 For more great books and ideas to feed your love of life visit http://www.conversationsbookclub.com/. It is without question one of Conversations Media Group's most exciting events: revealing the titles that make up its Top Books of the year. 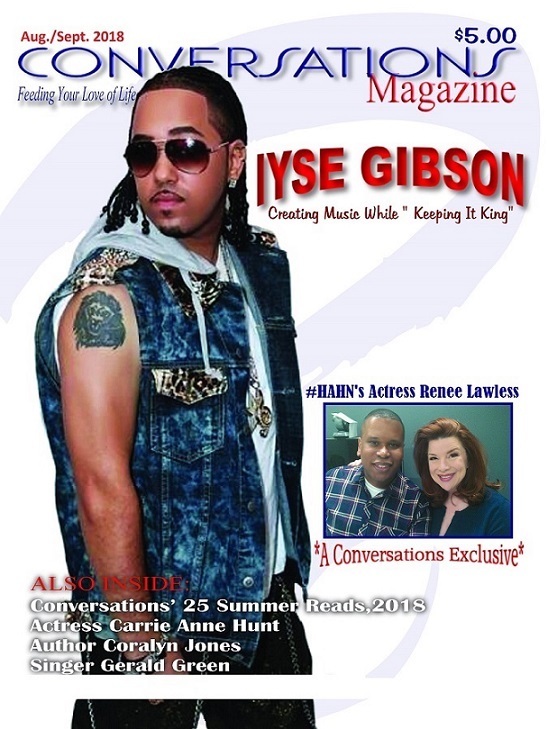 For 2012 Cyrus Webb, President of Conversations Book Club and Editor-In-Chief of Conversations Magazine found it to be an increasingly difficult task. "There were so many great books that came out this year it was almost impossible to narrow it down," he says. In the end he found his top fiction and non-fiction titles that he believes best represent not only what he loves about books but the world as well. Once again there are established authors as well as rising stars that are featured, keeping in step with Webb's desire to feature talent wherever it might come from. What are the requirements for making Conversations Book Club's Top Books list? They are very simple. First books that make the list must be reviewed in print form. (No e-books are considered.) Secondly Webb would have had to have read the title by Nov. 1st of the previous year and by Nov. 1st of the current year for consideration. Interested in having your title considered for 2013? Contact Cyrus Webb directly at cawebb4@juno.com or 601.896.5616. 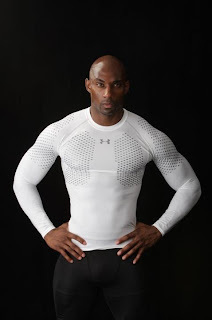 Follow Cyrus Webb on Facebook at www.facebook.com/cyruswebb and on Twitter at www.twitter.com/cyruswebb. To check out previous lists by Conversations Book Club or to stay abreast of upcoming literary events, visit www.conversationsbookclub.com. Keep inspired. Keep focused. Keep the Conversations going! Conversations Media Group is excited to announce its choices for book club selections during 2013. "Since I began Conversations Book Club in November 2006 it has always been my goal to unite readers literally around the world around books," says Cyrus Webb, Founder of Conversations Book Club and the President of Conversations Media Group, home of Conversations LIVE Radio show and Editor-In-Chief of Conversations Magazine. "Since its start we have hosted over 100 author events and held meetings in MS, AL, LA, TN---all with the goal of uniting men and women around the written word." 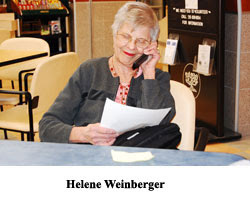 Though a fan of all books, Webb decided to choose 12 non-fiction titles for 2013's book club discussions, all in line with Conversations' theme for 2013: Living Life as a Thank You, based on the book by the same name by author Nina Lesowitz and Mary Beth Sammons. To add a special dimension to each month's selection, Cyrus Webb has arranged a monthly online interactive conversation about each book that will be held every 3rd Thursday @ 8p.m. et (7p.m. ct/5p.m. pt) on Conversations LIVE Radio Show (www.blogtalkradio.com/conversationslive). Almost each month the author of the book will join the show live as readers discuss the book using Facebook (at www.facebook.com/cyruswebb) and Twitter (www.twitter.com/cyruswebb and the hashtag #conversationsbookclub). The show's chatroom will also be open to take questions in real-time. 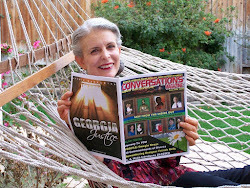 There will also be profiles of each book club selection in the monthly issues of Conversations Magazine. "All of this will only enhance the experience of the book discussion," says Webb. 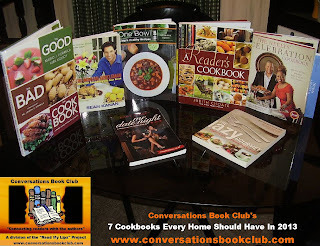 To stay abreast of all of the exciting updates with Conversations Book Club in 2013 visit www.conversationsbookclub.com. Any questions can be directed to Cyrus Webb at cawebb4@juno.com or 601.896.5616. Talk about quick and easy – and lots of freedom of choice. All it takes to make turkey nachos is your favorite corn (or any) chips, leftover turkey, canned beans (that’s optional) and melted cheese topped with your choice or a combination of sliced avocado, chopped tomato, chopped onion, sour cream or plain yogurt and/or salsa. 1. Place an oven rack half way up from the oven bottom, and preheat the oven to 350 degrees (180 degrees Celsius). 2. Open, drain and rinse a can of beans (optional) with cold tap water in the sink. 3. Spray a baking dish with a light coat of cooking spray and top with a generous, even layer of your favorite corn (or any) chips. 4. 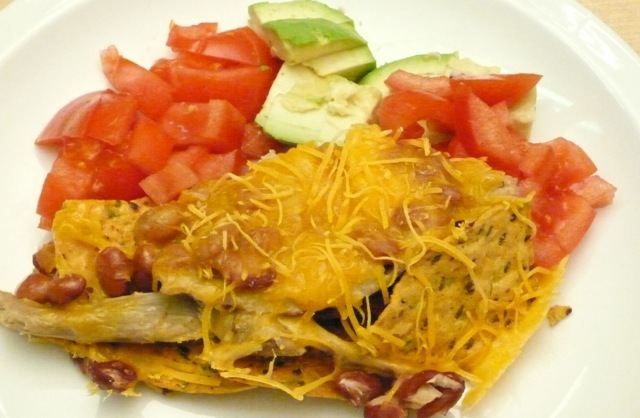 Top the chips with a generous, even layer of shredded turkey meat, beans and shredded cheese. 5. When the oven has warmed to 350 degrees (180 C), put the baking dish in the oven and set a timer for 20 minutes. Avocado: Cut a ripe avocado in half lengthwise around the seed and twist the two avocado halves apart. Remove the seed by holding the avocado half with the seed still attached seed side up on the cutting board - making sure your fingers are not in the intended knife path - and driving the knife blade into the seed. Twist and lift the seed from the avocado half. Remove the seed from the knife edge by pinching the down on the seed from the back, dull side of the knife. Cut the avocado half again in half lengthwise into quarters, and peel off the skin. Cut each avocado quarter into slices 1/4 - 1/2 inch (6-12 mm) wide, and cut the slices in cross section into pieces also 1/4 - 1/2 inch (6-12 mm) wide. Tomato: Rinse and shake a tomato dry in the sink. Then carefully make an upside cone shaped cut around the stem patch to remove the tomato core as shown in the third picture below. Cut the tomato in half lengthwise. Cut each tomato half into lengthwise slices about 1/2 inch (12 mm) wide. Then cut the slices in cross section into pieces also about 1/2 inch (12 mm) wide. Onion: Cut a red (or any) onion in half, and cut one of the onion halves in half again. Cut off the tough onion stem and root ends and peel the onion skin. Cut slices about 1/4 - 1/2 inch (6-12 mm) wide, making sure not to cut through the back of the onion to keep the slices bound together, and chop those slices into pieces also 1/4 - 1/2 inch (6-12 mm) wide. 7. When the timer sounds, carefully remove the cooked nachos from the oven with a potholder or folded dish towel. The nachos are done when the cheese on top has melted. 8. Scoop the nachos from the baking dish onto a plate with a spatula or big spoon, and either have them as is or top them with your choice or a combination of plain yogurt or sour cream and/or salsa. And that’s all there is to making turkey nachos quickly & very easily. As always, if you’re more visually oriented, you can get complete step-by-step picture book directions by visiting the Gotta’ Eat, Can’t Cook site at www.gotta-eat.com. Just click the downloads tab from the home page, scroll down to “Chicken & Turkey” and click “Turkey Nachos” for a free step-by-step picture book recipe. 1. This is the easiest, fastest, and most stress-free way to roast a turkey weighing up to 15 pounds that I know (most turkeys sold weigh 12-14 pounds). It requires using HIGH heat (450 degrees), roasting the turkey breast side down until the last 30 minutes of cooking (to preserve the moisture and tenderness of the low-fat breast meat) and NOT filling the turkey with stuffing, which otherwise only adds mores cooking time and causes the meat to dry out. 2. I HIGHLY recommend using an ovenproof meat thermometer to ensure safe cooking doneness. They’re inexpensive and very easy to use. I avoided buying one for far too long until a butcher who has provided excellent advice very kindly suggested recently I’d be making a mistake otherwise. I listened - and obeyed - and haven’t looked back since. Fridge to Finish Time: Plan about 4 1/2 - 5 hours to prepare a 12-15 pound turkey as follows: 1 hour to let the turkey warm at room temperature for more even cooking, about 2 – 2 ½ hours to roast at 10 minutes per pound (using the HIGH oven heat method mentioned here), and at least 30 minutes after roasting to let the turkey rest before carving. 2. Take the turkey out of its packaging in the sink. Remove the giblet bag and neck, stored individually or separately in either or both the hind or neck cavity. Then use a sharp knife to cut away excess skin at the top of the turkey’s neck, if necessary. 3. Rinse the inside and outside of the turkey, and pat it dry with paper towels. with a light, even coat of cooking spray to make cleanup later a lot easier. 5. Stand the turkey in the roasting pan, and add a good shake of garlic salt, Italian Seasoning, paprika and ground black pepper first on the inside and then outside of the turkey starting with the breast side and finishing with the bottom of the turkey facing up toward you. 7. After 1 hour, set an oven rack in the lower third of the oven, and preheat the oven to 450 degrees. remove the breast-side down turkey from the oven. Then CAREFULLY use a large fork and large knife (or kitchen utensils of your choice) to lift and turn the turkey breast-side up. (If you’re using a roasting rack, you’ll notice rack marks on the breast, but don’t worry, those will fade during the last 3o minutes of breast side up roasting.) If you’re using an ovenproof meat thermometer, insert it in a thick section of breast meat next to the thigh muscle WITHOUT touching any bone. 10. Put the turkey back in the oven, and set a timer for 30 minutes. potholders or folded dish towels and check it for doneness. Turkey meat is safely cooked when it has reached an internal temperature of at least 180 degrees and the breast meat is white and leg meat grey throughout with no runny red liquid. If, however, the temperature on your meat thermometer (if you’re using one) is less than 180 degrees or any of the meat is still red or pink with red runny liquid, keep cooking the turkey until the meat is done as mentioned above. cutting board, and let the turkey rest for at least 30 minutes both to let the meat juices inside settle and make the turkey safer to handle before carving. 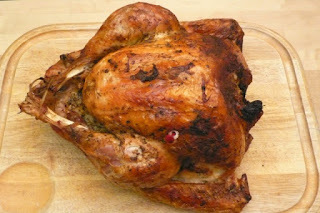 And that’s all there is to roasting a fantastically, flavorful and tender turkey with as little stress as possible! For visual help with this recipe, you can get complete step-by-step picture book directions by visiting the Gotta’ Eat, Can’t Cook site at www.gotta-eat.com. Just click the “Chicken & Turkey” button from the banner in the middle of the homepage. Then, click the picture of “Stress-Free Roast Turkey” for a free PDF. His is an electrifying voice that is unmistakable to lovers of R&B. Whether you are talking about the singles Forever Yours, With You, Heart of a Man or even Lovey Dovey, Tony Terry is one of those recording artists that has been consistent in his career and appeal to his fans. 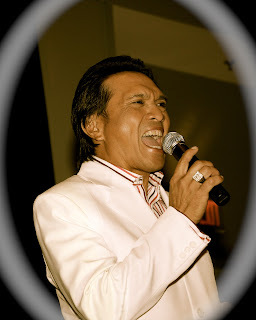 In 2012 he pleased music lovers around the world with his single Get It All. I found out about it myself through an online friend named Martha Samasoni in New Zealand! Through her I was able to get an interview with Terry, discussing his journey in music and the impact he has been able to make on the world through it. "I don't think that what I do or what I've done musically has anything to do with me as a man," Terry told me during our conversation. "I give all glory to God. Music is what I do. To me the fact that people are still interested in the music that I make is something that I appreciate and don't take for granted." There are so many artists out there that are into the fame and fortune of the industry. For Tony Terry, it is something much more personal. "I think my responsibility is to make honest music. If you're a fan of my work then you know my music is all over the place. I write about what is going on. Most often I write from my reality. That is what the fans pick up on. Real begets real." That realness goes behind just a catchy hook. 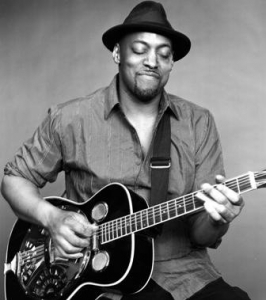 Fans of Tony Terry are known for looking past the melody to the words he sings. "I'm not really trying to write trendy," he told me. "I write about matters of the heart. The fact that my songs are used for special events in my fans' lives means a lot. It confirms for me my instinct. It's hard to be vulnerable and to write songs that open you up to criticism and judgement, but it is that honesty of the moment that makes my songs connect with people." Thanks to social media, Terry doesn't have to wait until he goes on the road to hear what his fans think about his career, impact and new music. "I'll share the song on my Facebook page and get feedback," he says. "A song I might be unsure of might get the most positive response. I know what I want to do musically. Getting the feedback let's me know what people want to hear from me. It helps to shape the listening experience." 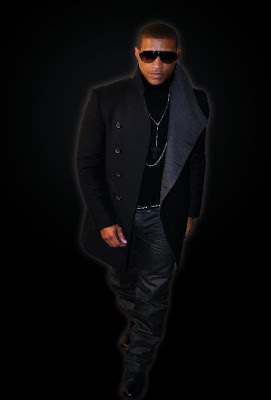 Look for more music from Tony Terry in 2013 and additional appearances around the world sharing it. His message to those who have stood by him and are just being introduced to him is this: "I want people to know that I don't take it for granted. I realize how lucky I am that music I make has become the soundtrack of people's lives. Thank you to the people who allow me in." Stay in contact with Tony Terry on his website at www.mrtonyterry.com. You can also find him on Twitter at www.twitter.com/mrtonyterry and Facebook at www.facebook.com/theartisttonyterry. Another year has come and almost gone, and with it have come its share of highs and lows for us all. For us here at Conversations Media Group it has been a year like no other. There has been so much that has happened since the last issue of Conversations Magazine was released, and all I can do is thank each and every one of you for the support as we continue to feed your love of life and give you something to inspire you as you go throughout your day. If we are friends on Facebook you already know that our sister publication Conversations with Music has been nominated for Publication of the Year for the 2013 Rhythm of Gospel Awards. What an honor, seeing that it has not even been on the market a full year! There is also the milestone of 1 million listeners on Conversations LIVE radio show this year. Another feat that is humbling and pushes me to make sure I am giving you the best possible interviews on the air each week. That leads me to this issue's overall message: The Power of One. We might not realize it, but each of us are able to evoke major change in the world by just taking a stand. Each of the profiles in this issue have done amazing things in their lives, and they have been able to do it while remaining true to themselves. What I hope for you is the same. Find out what you are really meant to do and stick with it. Your life is too valuable and your time too precious to waste even one day not realizing your importance. 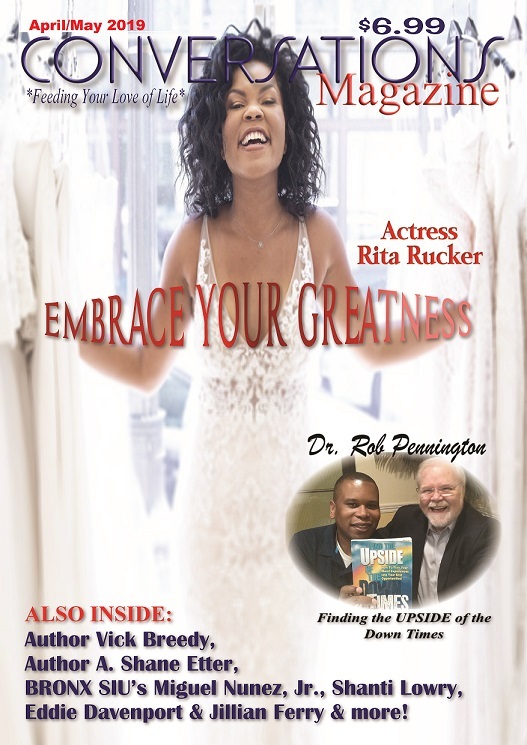 As you read the conversations inside this issue I want you to take their advice to heart and start working today to make yourself better, stronger and more powerful than you were yesterday. Have a story of how you or someone you know has embraced their inner power? I want to share it! Email me at cawebb4@juno.com or call me at 601.896.5616. I love Fettuccine Alfredo but don’t like the excessively full feeling after eating it, which is largely attributed to the heavy cream in the sauce. 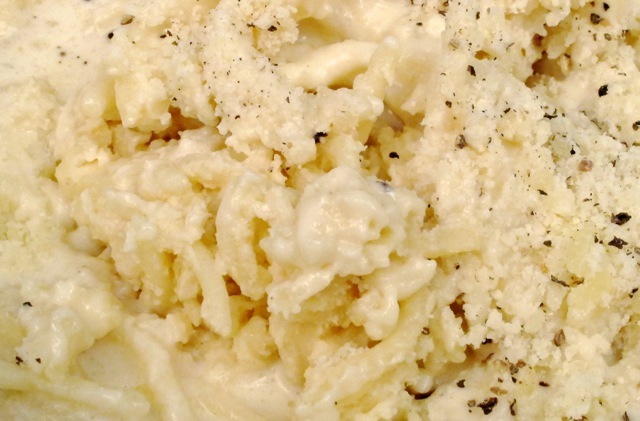 The recipe here substitutes evaporated milk for heavy cream, which far reduces the fat content and therefore makes the Alfredo sauce less excessively filling. This recipe also uses garlic to add little more flavor and an optional shot of balsamic vinegar for an added rounding out zing. All together, this pasta with lighter Alfredo sauce recipe provides full-on flavor that tastes at least as good as standard Fettuccine Alfredo without the added heaviness. 1. Fill a medium sized pot about half full with cold tap water. Put the pot on the stove, and turn on the burner to HIGH heat. 2. While the water warms, pull 1-2 garlic cloves from a fresh garlic bulb. Put 1 garlic clove at a time under the flat side of wide bladed (chef’s) knife, and use the heel of your hand to press down on the top flat side of the knife with enough pressure to break the garlic clove open to make peeling the garlic skin much easier. Peel the garlic skin. Then slice and chop the garlic until it looks about coarsely ground salt. 3. Let the water come to a big bubble, rapid boil to help ensure the pasta cooks properly to desired doneness. Check the pasta package for the recommended cooking time, and set a timer for 2 minutes less than the time the package recommends to allow the pasta to soak up some of the evaporated milk that will be added in step 5. Then, add ½ box or 8 ounces of pasta to the boiling water and stir until all the pasta is submerged in the boiling water. Let the water come back to a full boil. Then turn down the burner heat to MEDIUM to prevent the pot from boiling over, and cook until the timer sounds. 4. In the meantime, put a colander in the sink, and shake and open a can of evaporated milk. 5. When the timer sounds, pour the pasta and hot water into the colander in the sink, and lower the burner heat to LOW MEDIUM. Put the pot back on the stove, pour in the entire can of evaporated milk, and add the chopped garlic. Let the evaporated milk warm for a minute or two. Then add the cooked pasta, stir, and let the pot warm until the evaporated milk just starts to bubble and steam. Turn off the stove heat to keep the sauce from sticking to the bottom of the pot and add a good pile of grated or shredded Parmesan cheese. Stir with a big spoon until the Parmesan cheese and evaporated milk blend together smoothly. 6. Serve, and either have the pasta with lighter Alfredo sauce as is or topped with your choice or combination of ground black pepper and/or balsamic vinegar to taste. Bruce Tretter is the resident chef for Conversations LIVE Radio show and the co-host of the weekly show The Conversation. Find out more about him and his quick and easy cooking recipes at www.gotta-eat.com. He can also be found on Twitter at www.twitter.com/gotta_eat. Current Location: West Palm Beach, Fl. What inspire you to Pursue your love of Music? I was born and raised in the Philippines. When I was growing up I already knew that Music was my life. I think I began singing at the age of 7. I went to college, but during my third year I knew I had to pursue what I loved. I decided to quit school and joined the band called THE WINGS OF MANILA as a lead singer. That is brought me here in the U.S.A.
My influences include Tom Jones, Frank Sinatra, Elvis Presley, Louie Armstrong and Neil Diamond. When it comes to pursuing Music what is your Idea or view of what success means? For me success is when I can relate to my audiences, making them understand what I am singing about. My satisfaction comes from putting smiles on their faces and making them enjoy listening to and watching me perform. In spite of challenges and difficulties what keeps you motivated? It motivates me most when I can get my audience's attention at the first line of my song. Then I'll know it will be a great show. The way they receive me and congratulate me after my performances is a priceless feeling. What advice do you have for aspiring musicians or individuals interested in in pursuing their own dreams? My advice is that they have to believe in themselves. There is no limit on what you can do to achieve many dreams. But the most important thing is that they have to be humble and persistent. There are many rejections before you get to where you wanna be, and when you get there you have to know how to hang in there for as long as you can. Stay in contact with Rene' Casey and his music at www.cdbaby.com/cd/renecasey or on Youtube at www.youtube.com/renecasey. His music is also available on ITunes. On Facebook you can find him at https://www.facebook.com/rene.casaysay. "Don't put a limit on anything. The more you dream the farther you get." That quote by celebrated Olympian swimmer Michael Phelps sums up how people who recognize their purpose and calling in life view each and every day that they have. 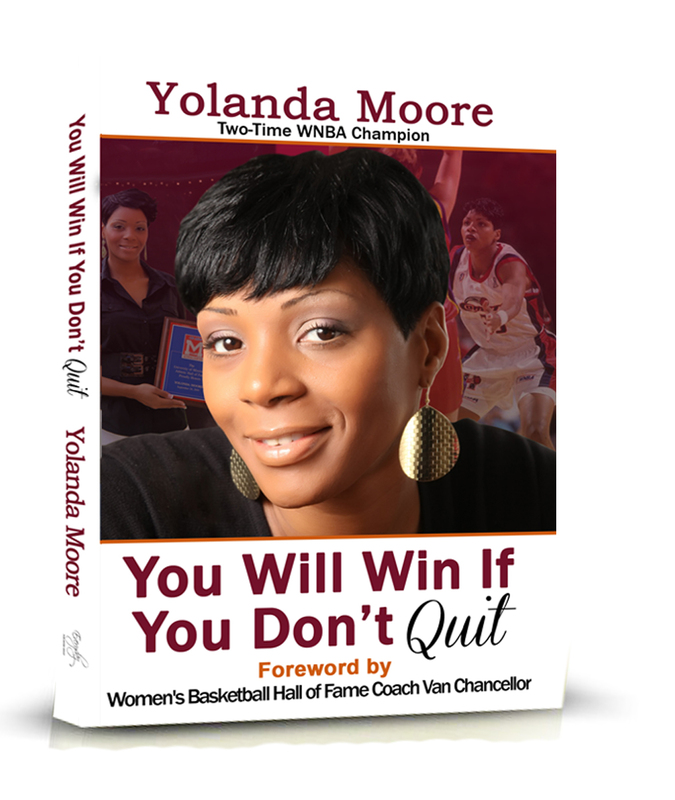 In 2012 I was fortunate enough to be introduced online to fellow Mississippian Yolanda Moore, an individual who has also made her mark in sports and is now celebrating the release of her book YOU WILL WIN IF YOU DON'T QUIT. She is showing through her example how you can't be defined by your circumstances, and you can't give up on yourself. In our conversation I asked her about the experiences that have made her who she is today: excelling in sports, being a public speaker and now an author. What has she learned that she now wants to impart to others? "I have to say my life shows that the starting point doesn't matter. All that matters is where you're going." Moore sees it as a privilege "to be able to use things what I've gone through to help others find hope in their situation." She admitted to me, however, it was not what she initially sought out to do. "It was more about coming to grips with my past and my life and things that have happened to me," she explained. Growing up she would say to herself that there's got to be something better out there. She knew that if things were that difficult for her at that point where she was that there had to be something better out there. "Nothing that I've gone through is new," she told me. "It's a matter of how you deal with it. Instead of looking at it as something bad, I began to see it as a learning experience." What Yolanda Moore experienced growing up showed her exactly what she didn't want for her life as an adult. Her way out came on the basketball court. "Basketball has been my saving grace," she told me. "Throughout my whole life it's been the one area I've been able to find some solace in and gain confidence in. I told myself that I was going to use this to make my life better." Basketball has been good to Moore, but even her gift has not come without difficulty. One thing that didn't leave her was the belief that dreams can come truth. "If it's out there then I can get it," she says. "I can have it. If other people can live successfully, then I can, too." 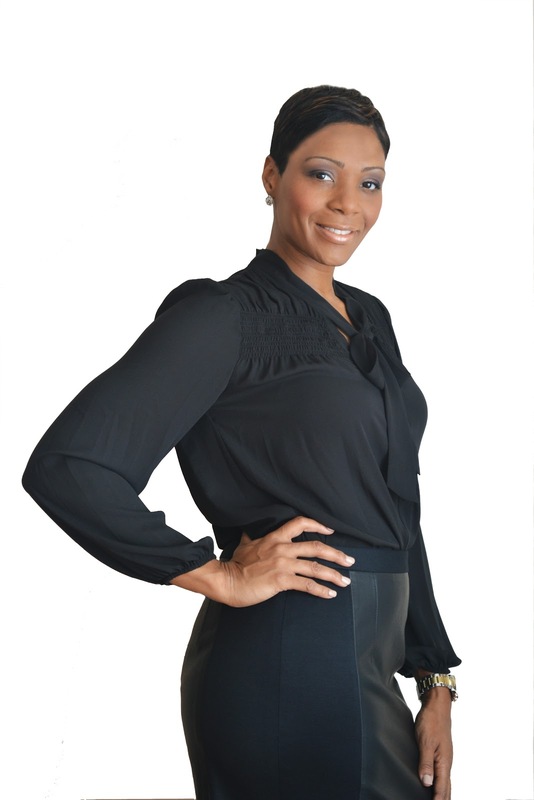 Moore's journey and her book allow you and I to find the confidence needed to keep going. "I'm still here for a reason," she says. "Every day that you wake up is a sign that your work here is not done. When those situations arise we know how to go through them without losing our minds. Everything that has happened in life has prepared me for where I am. I want everyone out there to know that no matter how bad it is, as long as you are here it is not over." 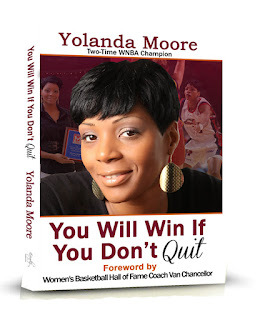 Find out more about Yolanda Moore's journey and book at her website www.yolandamoore33.com. You can also keep up with her on social media through www.twitter.com/ymoore33 and www.facebook.com/yolandamoore33. Sometimes in life truth can be stranger than fiction. Over the past nine years that I have hosted Conversations LIVE the radio show I have heard some amazing stories of individuals who have been able to pull themselves together when it seemed as though the world was trying to tear them apart. How did they do it? In most cases it came from realizing that they are more than the obstacles in front of them. When they came to grips with their own worth, they were empowered to move forward, not allowing their trials to define them. They might have been scarred along the way, but they survived. Such is the case with Toni Marie Ricci. 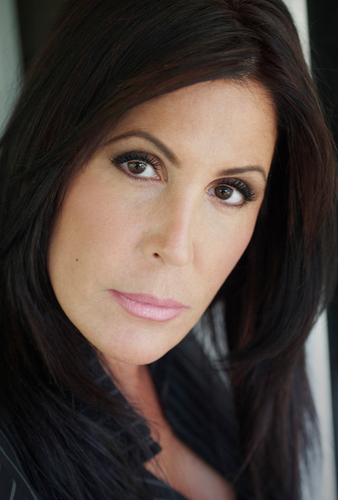 The world caught a glimpse of her story through Investigation Discovery's show "I Married a Mobster," where she shared some of the details of her marriage, divorce, and the Mafia lifestyle. There, however, you got only a part of the story. Now writing her autobiography SCARS OF A REAL MOB WIFE Toni Marie is set to allow the world into her life, the ups and downs and everything in between and how she was able to come out on the other side. When I got the privilege of speaking with her we talked about the road that has led to where she is today and what she wants all of you to know about how she got there. "There comes a time in your life when you have stayed quiet for so long that you have to show people you have a voice. I always did want to write my book, and I thought I would just wait until the right time. It was important for me to let other women have an insight to what I've been there so they knew they were not alone and could survive. If I can help one person, I've done my job. " "My experiences definitely made me less trusting. Through them I learned a valuable lesson: You should love and respect yourself first before anyone. You don't have to stay in situations that you're not happy in.I know what it's like to have the fear of the unknown. There were times when I wanted to get out but wondered where are you going to go what are you going to do. Ultimately the longer you stay in that situation the more you lose your dignity and self respect. No one is worth losing all of that. No one." "I had to encounter many deceits so I can now know who I am. Growing up in a certain environment people think they know you. They have a perspective that women in this life know what they are getting into. That's not always the case. It wasn't something that was spoken of publicly. I know that if it wasn't for my son and my family members I wouldn't have had the strength to pick myself up and keep going. It's not all what people think it is. In the end it's nothing but heartache." Writing this book is very therapeutic for me. It has taken a lot of the weight off. I needed to step up to the plate. It hasn't been easy, but you have to do what you have to do. Sometimes you don't have a choice. Sharing my story makes me feel like I've accomplished something. I want readers to get from this book that you need to find the strength and people who will be on your side. I want them to know there can be happiness. The unknown is the scary part. Start from the beginning. Know that at the end of the tunnel there is light. You have to pick yourself up, know your strength, and you'll persevere. I always believed that I deserved better." Part of Toni Marie's journey has been keeping in touch with her fans on Twitter. "It's been an amazing resource for me," she told me during our conversation. One of the great connections that has come from the social media platform has been meeting acclaimed artist Michael Bell. He is working with her creating a series of 7 paintings that help tell her story. 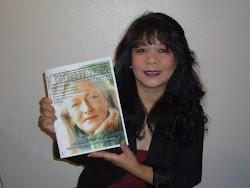 To stay in contact with Ms. Ricci and her book, follow her on Twitter at www.twitter.com/tonimariericci. Recently, I went to my dictionary to explore the definition for the word kindness. It was described as: Friendly feeling, warm-hearted and one who is of a friendly warm-hearted nature. It actually gave a description of one lending an umbrella to a child in the rain. My daughter shared with me months ago how she was having a “heavy” day. There was a lot going on with work, school, relationships...etc. And in the mist of her heaviness, she set out in her car to address errands. She came to a stop sign and to her right she observed a man standing on the corner with a young child selling crates of fruit. What concerned my daughter was that it was storming and the man and child were soaking wet. As she drove past the stop sign, she suddenly felt less willing to focus on her issues and turned her attention on how she could be of assistance. Stating she felt as though she was being “willed” to help. Have you ever felt that GOD was calling upon you to help someone; to lighten the load of another? My daughter stated that she made a u turn and gave the gentleman her large umbrella and he immediately gave it to the young child, who was now sheltered from the rain. My daughter shared how her simple act of kindness made her soul feel good. And when she returned home hours later, she observed the shelter her simple act of kindness was providing. How many can relate to that feeling she felt? I can relate to it as a giver and also as a receiver of simple acts of kindness. I’m remembering how on one morning in particular, I awoke in a funk. Have you ever retired to bed feeling grateful only to awake in a funk? 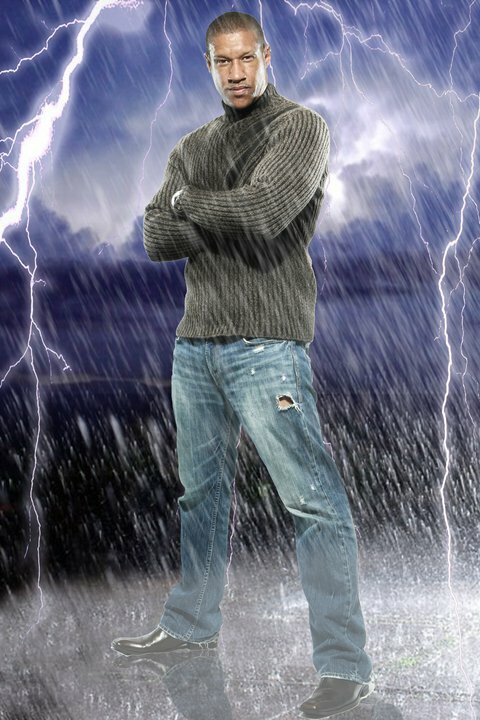 Well, on this particular morning I could not shake the negative energy. For those of us who try to enlighten, we know how unhealthy it is to stay in that zone but at times shifting our thoughts can be difficult. That morning when I went to my computer, I retrieved an email that my eldest daughter had forwarded. It contained a message pertaining to random acts of kindness and the importance of staying positive and being a reflection of that to others. Within that moment I reflected on that message and embraced its’ words. I willed myself to change the direction of my thoughts. I fixed myself up, thanked GOD for allowing me to see another day, engaged with others while extending some kindness. The point I’m trying to convey is that when we look beyond ourselves and our circumstances within any given moment and stay positive; we add richness to the Universe. My youngest looked beyond her “moment” and extended an act of kindness to a stranger and young child, which allowed for him to extend better service to his customers. My eldest looking beyond the challenges of her day extended a powerful morning email that changed the direction for many, including myself. Intern, I extended kindness to those I encountered during that day, which hopefully transferred to the individuals they encountered. As you journey through your life, never forget that we are all enter-connected. And within you lies the power to bring about a positive impact on so many profound levels, with just a simple act of kindness. 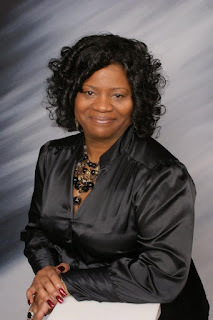 Mary E. Gilder, is the author of the award winning novel, “A Misrepresentation of Myself.” Mary can be contacted at: meg@maryegilder.com or bookclubs.maryegilder@yahoo.com. Also, visit her website at: www.maryegilder.com.